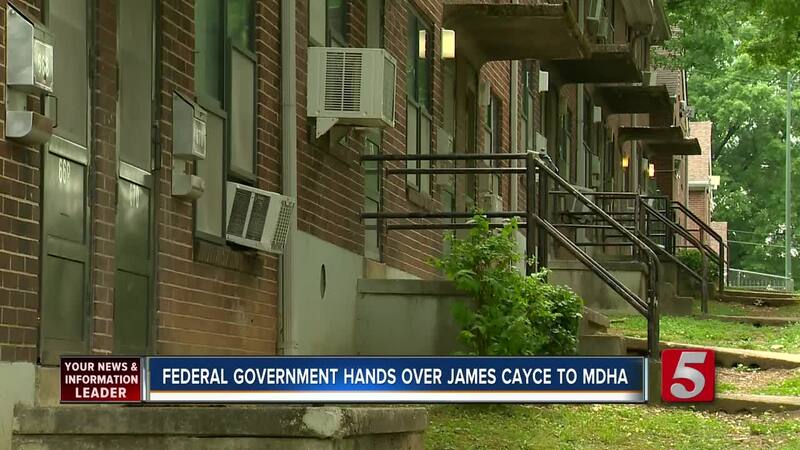 The Metro Development and Housing Agency acquired the Nashville subsidized housing complex, James Cayce Homes, from the Federal Government. The acquisition will bring major changes to the 88-acre complex. It'll be the first revitalization project since 1937. Renderings were released of what mixed income housing will look like. Eventually, private investors could work with the city on the project. The move came after MDHA acquired the land and rights to this area. It will help them get one step closer to completing their revitalization project. "I love the new construction. Just seeing that we're getting something new! These buildings are old," said resident Marilyn Greer. "We deserve something new. I'm just like overwhelmed." Executive Director, Jim Harbison, sat down with NewsChannel 5 to explain how private investments could help pay off debt in the future. "Apartment A is someone of low income, apartment B is someone of moderate income like my daughter the school teacher, and apartment C is someone of higher income that will want to live here because we're walking distance to Shelby street bridge and our great lower Broadway and 5 points and that location." He said the project is important to him. "My grandfather was a carpenter on this job at the height of the depression. Six kids to feed, sharecropper, who walked from West Tennessee to get the job so I've heard about this place growing up my entire life," Harbison said. While he acknowledged there could be issues with such a grandiose project, his goal is to close the gap. "Not worried about how much somebody makes, not worried about where they go to school, or what color their skin is, or who they sleep with, or where they go to church, or any of that stuff. They just want to be good peaceful people living side by side," he said. The land is home to some of the oldest trees in Nashville, and Harbison said he would try to protect their history. "We’re going to do our best to save every tree we can, cause I love trees too. And Kirkpatrick park is an example. The first one we’re building, one under construction we intentionally designed the pocket parks that are up there to preserve as many trees as possible," said Jim Harbison with the MDHA. Since the land is now owned by Nashville, residents can choose to stay, move, or wait for new units. "Once they broke ground that showed that we were really moving forward, that this was really going to happen so now the people are more excited," Greer said. The first mixed income development is in Kirkpatrick Park and currently under construction. In January of next year, 94 units will be open there for residents.